Last week we covered making the normal measurements with a multimeter – volts, ohms, amps, duty cycle and frequency. This week – in the last of our three-part series – we take a look at some more automotive uses you can make of a multimeter. Voltage drops occur in all wiring but are much more likely when high currents are flowing. A voltage drop means that the voltage available at the battery is not reaching the load – there is resistance along the way. 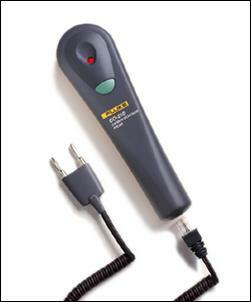 Voltage drops can be easily measured with a multimeter, especially one that has a Max/Min hold function. Simply set the meter to read Volts DC and then connect one probe of the meter to the positive battery terminal and the other to the positive supply at the load. Any voltage that shows on the multimeter scale indicates that there is a difference in the voltage between the two points. No voltage drop equals no difference – IOTW, no voltage is being lost between the battery and the load. This can be a good check to perform on headlights which don’t seem to be as bright as they should be. 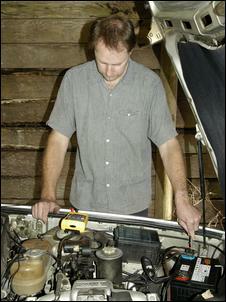 Here the voltage drop to the high beam of a mid-Eighties BMW 735i is being measured with the engine running. As can be seen on the meter, the voltage drop is 0.434V. Obviously zero would be better but anything less than about 0.5V is usually deemed to be satisfactory. 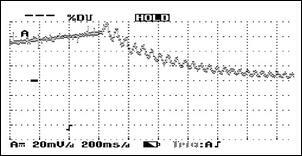 Another voltage drop that can be measured is during engine cranking. 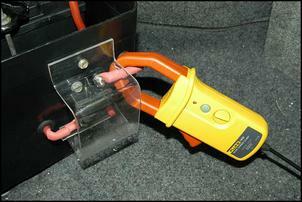 This is an especially good test of the earthing system of the battery and engine and again, it can be easily tested. Place one probe of the meter on the negative battery post and the other on the engine earth strap. Prevent the car from starting (eg by pulling the main EFI relay) and then crank the engine with the starter motor. In this BMW the voltage drop between the neg terminal of the battery and the engine earth strap was 0.333V during cranking. Again, this is below the 0.5V rule of thumb. If it had been a high reading, you could move the multimeter probe around (the one that was connected to the earth strap) and try it next on the negative battery clamp, for example. If there was a major voltage drop across the clamp/battery post connection, this would indicate that cleaning of this junction was required. By making the measurement at different points it’s easy to isolate the area in which the major voltage drop is occurring. Once you get used to using a good multimeter in car modification you’ll start hankering after a meter than can measure more than just electrical values. Like, wouldn’t it be great if you could measure peak boost, or other physical parameters? Well, you can. We already briefly touched on temperature (many multimeters will take the direct input of a thermocouple) but there are also adaptors available that will measure nearly anything that’s measurable and then turn it into units you can read on your multimeter. Unfortunately many of these adaptors are quite expensive so you’re unlikely to have them all in your toolkit – but having one or two becomes viable if you do a lot of development. DC current clamps are devices that have a moveable jaw that clamps around the wire carrying the current. The clamp – which has its own internal battery – can sense the amount of current flowing through the wire (yes, without even touching it, let alone requiring that it is cut!) and outputs a precise voltage per amp that it measures. For example, a clamp might have an output of 1 millivolt per amp. This makes measuring the clamp's output easy - if the multimeter shows a measurement of 5 millivolts on its voltage scale when connected to the operating clamp, the current flowing in the wire is 5 amps. If the voltage displayed on the multimeter is 100 millivolts, the current flowing in the wire is 100 amps. Current clamps should be used primarily for measuring currents too great for a conventional multimeter to handle – eg over 10 or 20 amps. This is because their accuracy at small currents isn’t a strong point. But one of the beauties of using them is that you don’t have to worry about blowing the fuse in your multimeter if you’re trying to measure an unknown current. For more on these designs, see Current Clamps. Adaptors are available that output a precise voltage per unit of pressure – for example, 10 millivolts per psi, or 1 millivolt per kilopascal. In the same way as with a current clamp, you plug the device into your multimeter and then read off the pressure. The beauty of the approach is that (if your meter has the functions, of course) you can very easily measure Maximum, Minimum and Average pressure levels. 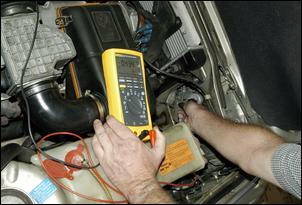 Turbo boost, fuel pressure, brake fluid pressure, oil pressure – all can be measured in this way. If you have a data-logging multimeter (either internal or through a PC interface) these measurements can also be logged. As with the current clamp, is pretty well impossible to damage the multimeter by too high an input (although of course you can always blow up the pressure adaptor if you exceed its limits!) and the system is portable and safe. 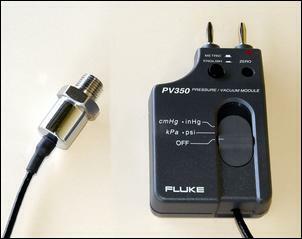 WRT the latter, when measuring fuel pressure for example, the adaptor can be inside the engine bay with long leads connecting its output to the multimeter in the cabin. This means that dangerous fluids aren’t brought into the cabin. It’s not going to be top of your list, but a carbon monoxide probe is ideal if you need to keep a watch on engine exhaust levels inside a workshop. Like the other probes, it simply plugs into the multimeter, with carbon monoxide levels read off as 1 millivolt equalling 1 part per million CO levels. Again, max, min average and trends can be logged with the right multimeter and/or PC interface. Over this series we’ve shown you how to select and use a multimeter – from the basics of on-car measuring of volts, ohms and amps to the more sophisticated uses including measuring physical parameters like boost and temperature. Summary? A good multimeter is one of the most effective tools in your workshop.